The District of Columbia Water and Sewer Authority (DC Water) commissioned the first major component of the DC Clean Rivers Program ahead of the deadline outlined by the consent decree. Working with a team of engineers and contractors, a seven-mile-long tunnel segment and a new 225 mgd wet weather treatment facility was put into service. The two components will work together to reduce combined sewer overflows by more than 80 percent. The design-build joint venture of PC Construction and CDM Smith designed and constructed the new wet weather treatment facility, which receives the overflow stored and transmitted through the tunnel. The facility is designed to treat 225 million gal. of incoming combined sewer overflow, eliminating potential untreated overflow into the Anacostia and Potomac Rivers and Rock Creek. “This project brings immense improvements to the District in terms of healthier waterways, which will lead to a more vibrant waterfront and opportunities for recreation on the Anacostia,” remarked Tommy Wells, DC Water Board chairman and director of the Department of Energy and Environment, at the grand opening celebration. The construction of the wet weather treatment facility included a 500-mgd tunnel dewatering pump station with five 83-mgd pumps and a 225-mgd enhanced clarification facility utilizing a ballasted, high-rate clarification process to treat the water, providing disinfection before discharge into the Potomac River. DC Water will continue their efforts with the mining of the next tunnel segment. 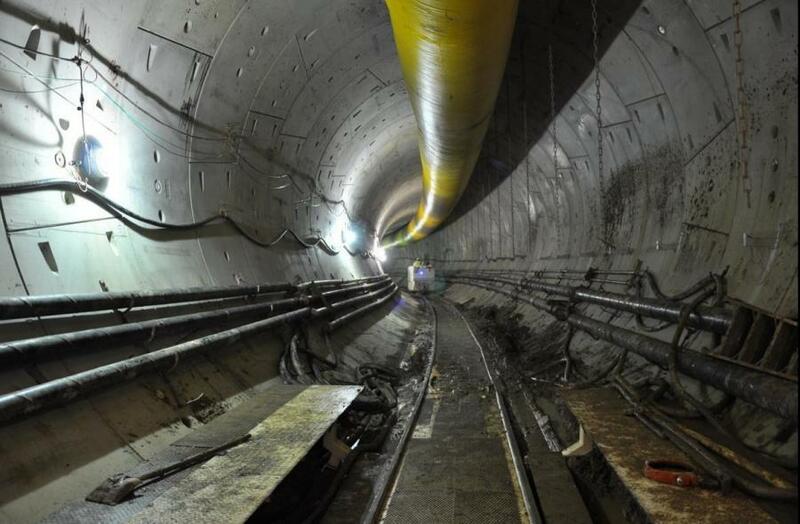 Upon completion in 2023, the entire tunnel system will capture 98 percent of sewage overflows into the Anacostia and provide more flooding relief for residents who were served by an undersized sewer for decades.